No advanced sign up required – just show up! Location: Meet at 300 Derby on the Public Shore Walkway. There is plenty of parking available. Location: Arroyo Viejo Park, 7701 Krause Ave.
Refreshments will be provided for volunteers. 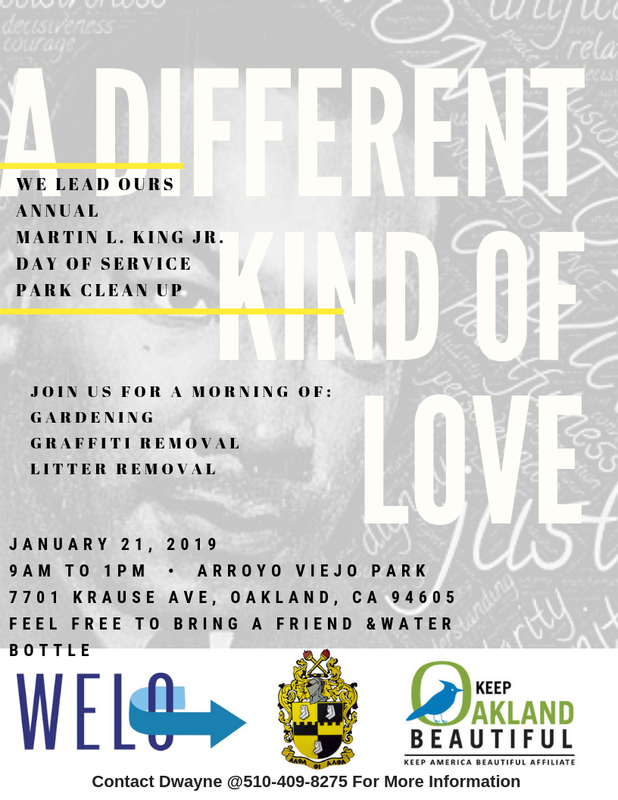 Make a difference on MLK Day by helping tidy up an Oakland Park. Hope to see you there! 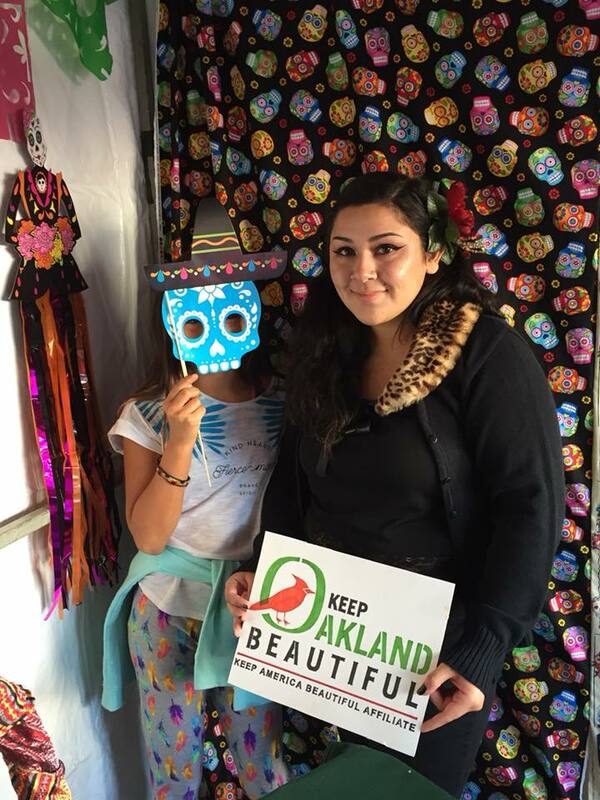 November 4th - Keep Oakland Beautiful Booth @ Dia de los Muertos Festival! 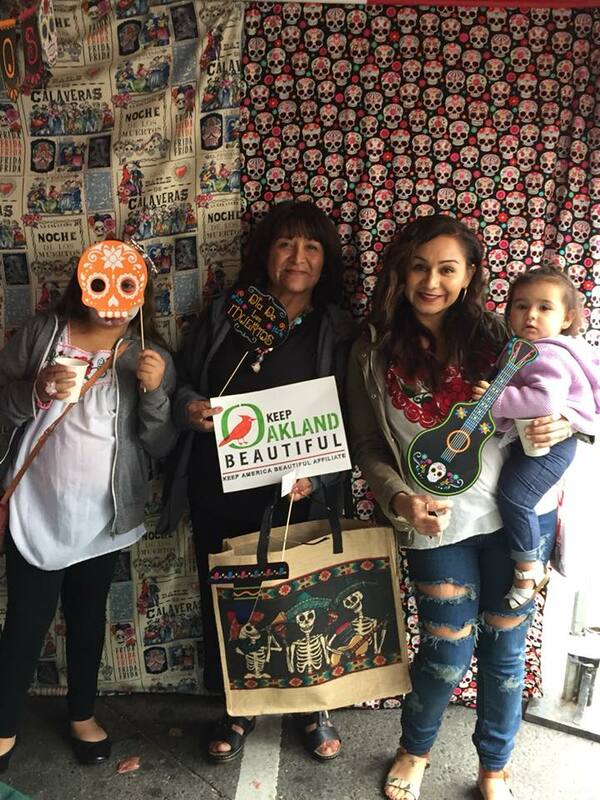 Join us at the Oakland Dia de los Muertos Festival at Fruitvale Station, and take a picture in our very own selfie photobooth! 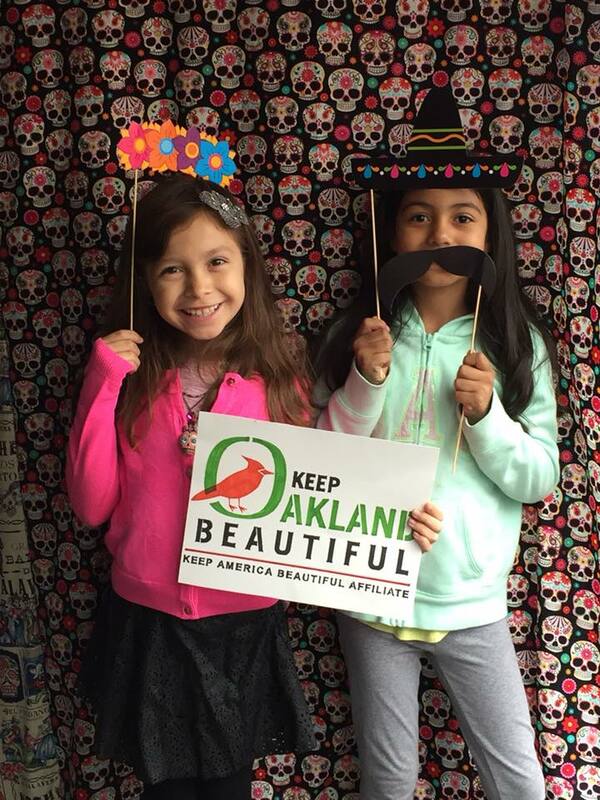 ​Join our mailing list to be notified of upcoming Keep Oakland Beautiful events! At this free, interactive workshop you will learn about Keep Oakland Beautiful, tips and tricks for receiving a grant, and get help with writing from successful project leaders and volunteers. Participants should bring project ideas or draft grant applications for hands-on help crafting a winning pitch for funding. This is a family-friendly event, food provided. 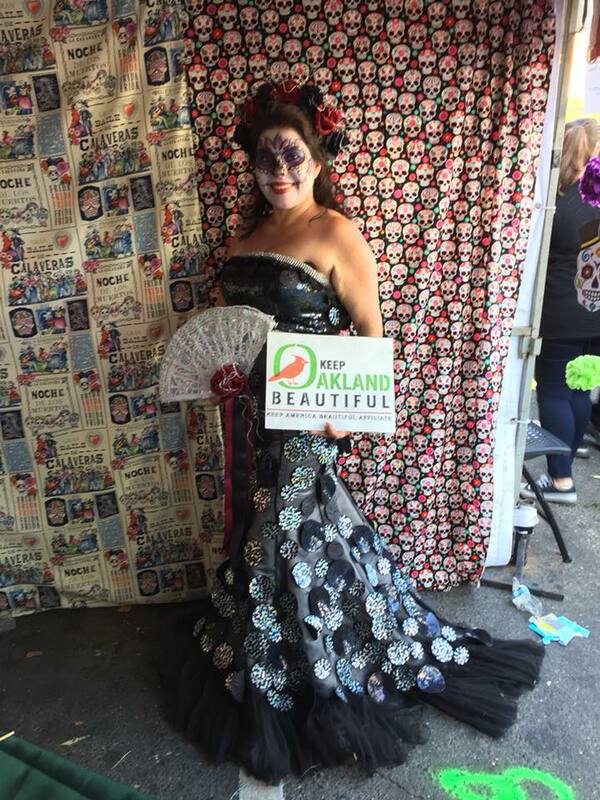 Join our mailing list to be notified of upcoming Keep Oakland Beautiful events! Grants in the amount of $500 to $800 are distributed by Keep Oakland Beautiful on a competitive basis to projects that clean, green, and beautify Oakland parks, creeks, and streets and other rights-of-way. All projects must be authorized by the land owner. Projects on City of Oakland property must be approved by the City and have an approved Adopt a Spot agreement prior to September 1, 2018. (Project approval time varies by location and complexity. Allow for a minimum of two weeks.) Projects on private property must have demonstrable community benefit. Small grants of up to $800 available to individuals and organizations for projects that build community, engage neighbors, and celebrate local culture on Oakland’s streets and public places. Preference for projects in East Oakland districts 6 & 7. Applications open August 6 - September 10. Corporate Volunteer Week is an annual week of service sponsored by the Contra Costa Crisis Center. The Center matches volunteers from Bay Area businesses to local non-profits to complete short-term projects. Corporate Volunteer Week overlaps with Oakland Creek to Bay Day and is a great way to organize additional volunteers for Creek to Bay Day projects. Weekday projects are more in demand for Corporate Volunteer Week projects. Adopt a Spot has an account with the Center and can register your project for Corporate Caring Week. ​Projects include litter removal, habitat restoration, urban greening, and beautification. Many Creek to Bay Day projects occur in creeks and along shorelines, though off-water sites are equally important for protecting waterways.